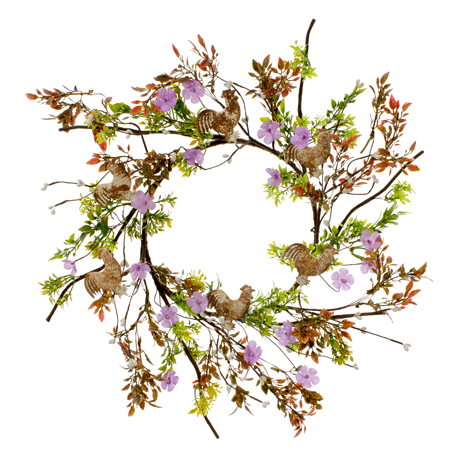 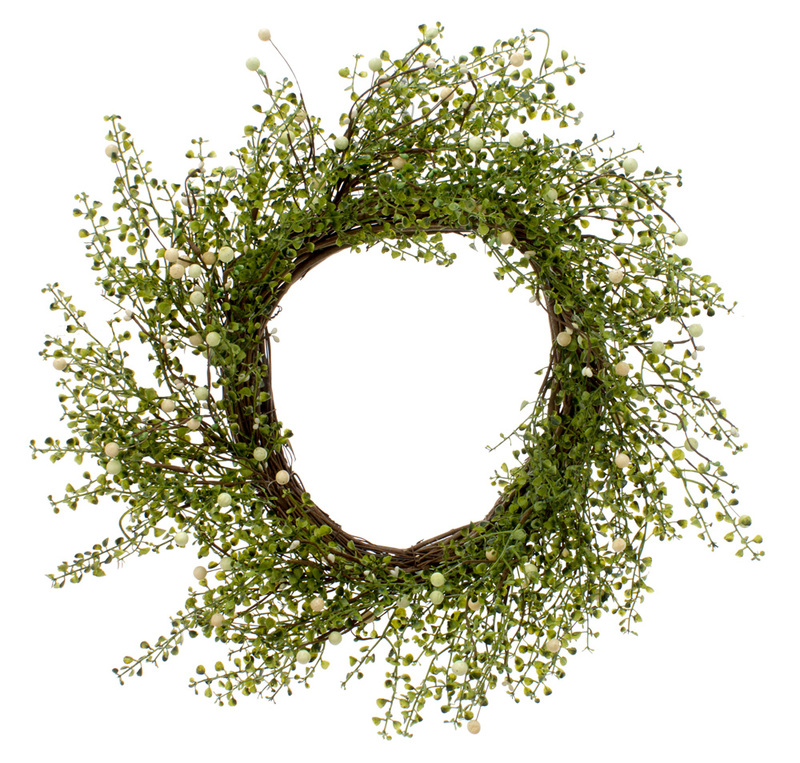 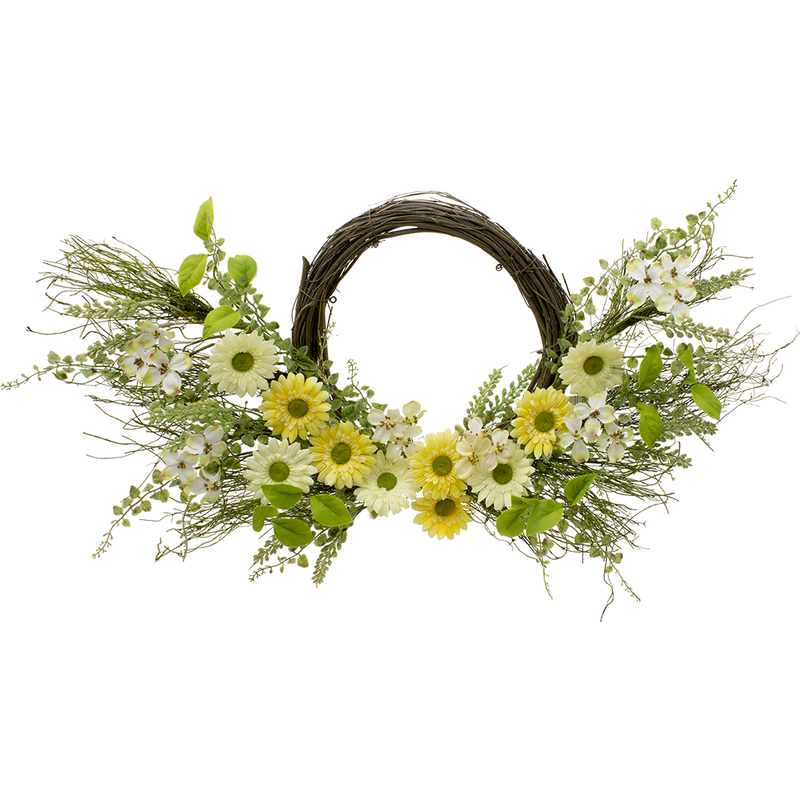 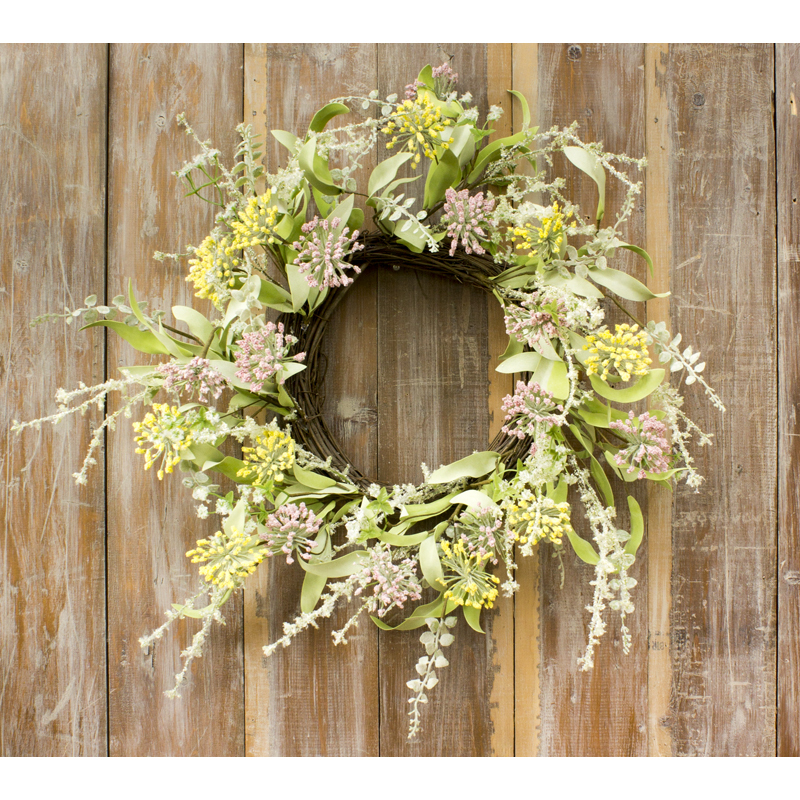 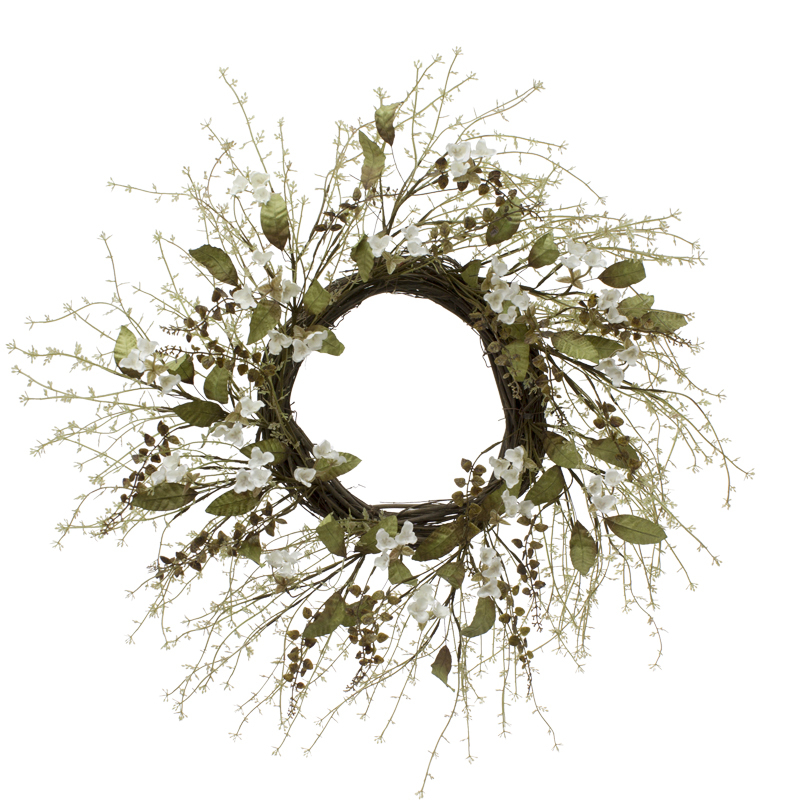 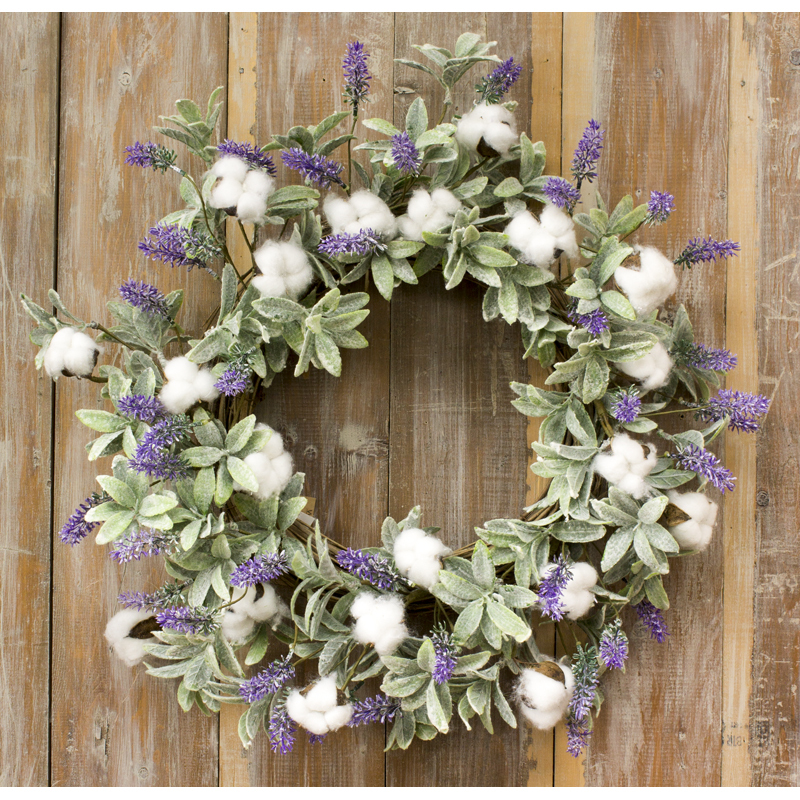 Green Leaf White Berry Wreath - 10 in. 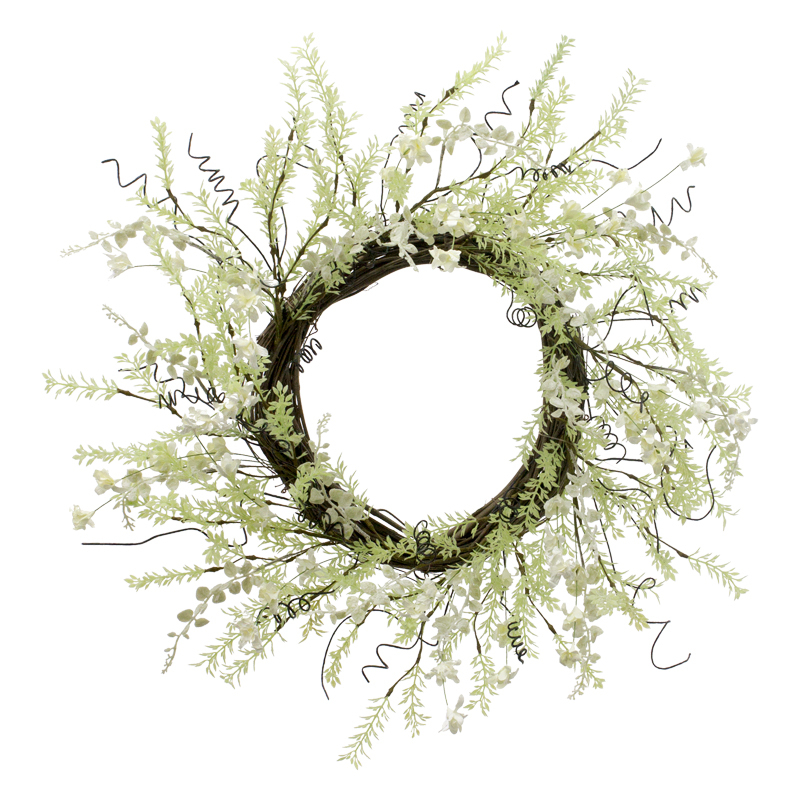 inner d. / 13 in. 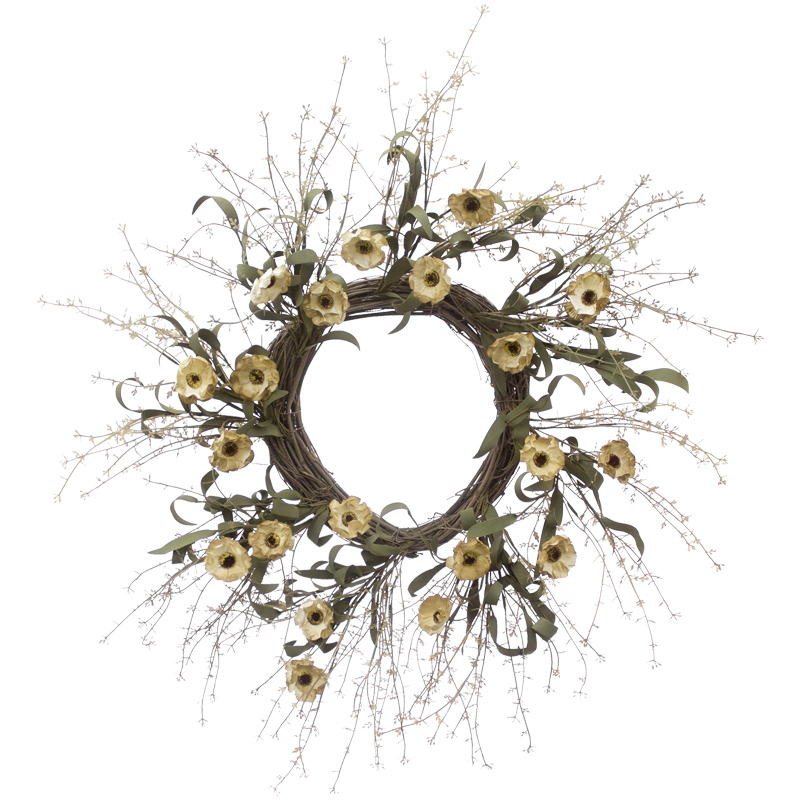 outer d. / 22 in. 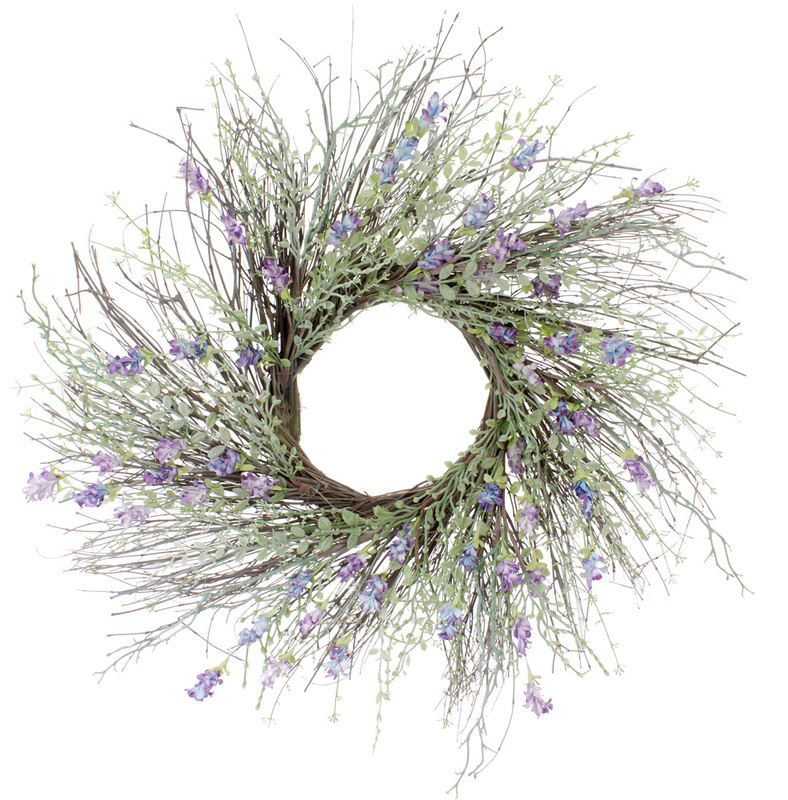 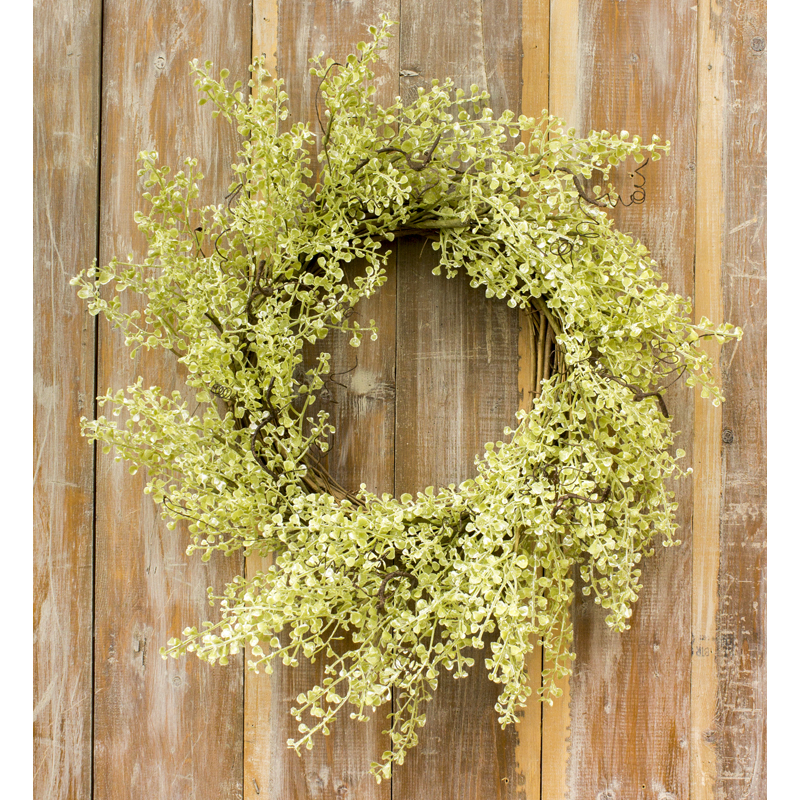 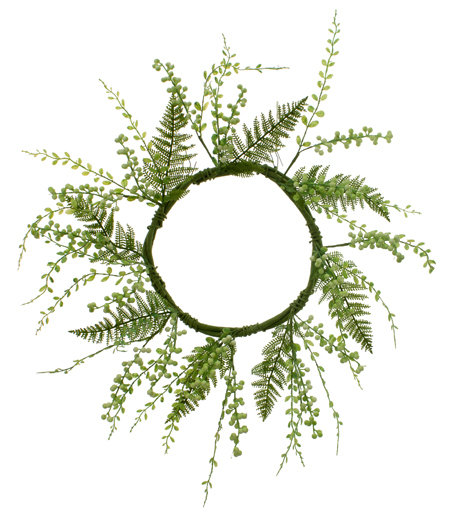 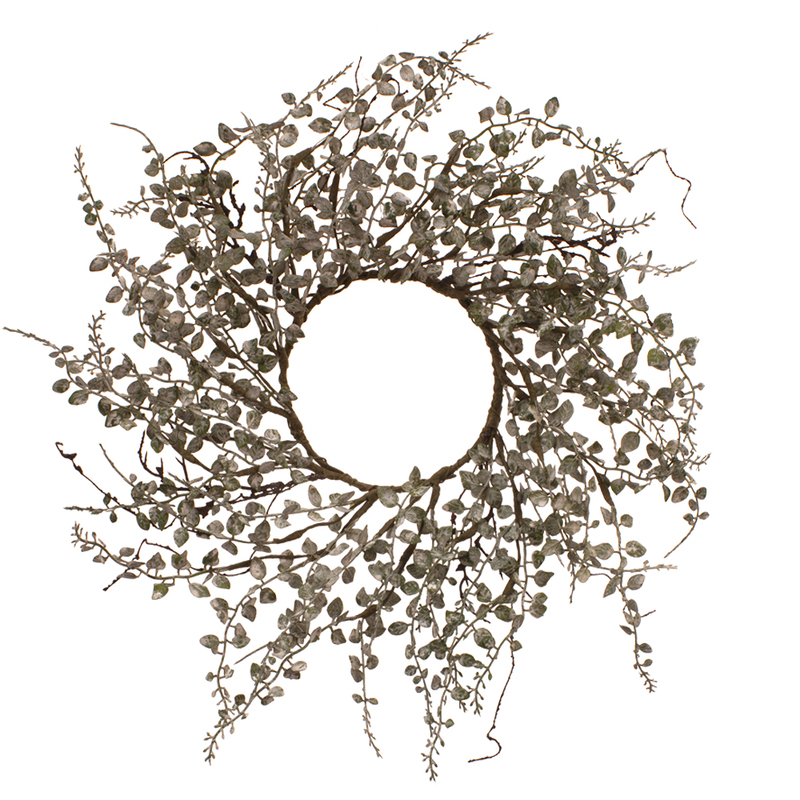 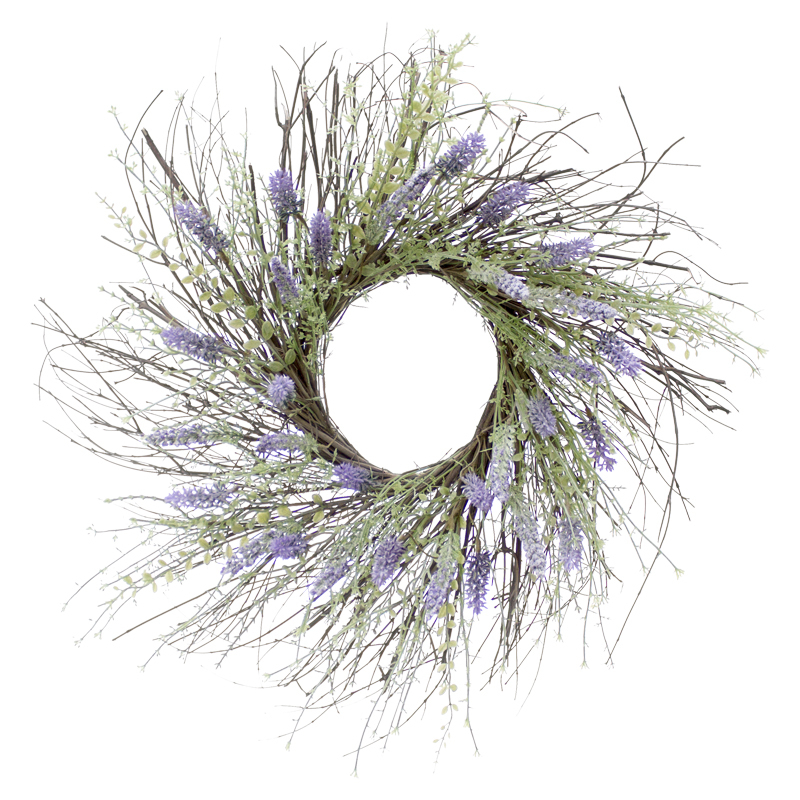 Japanese Peppergrass Wreath 14 in.